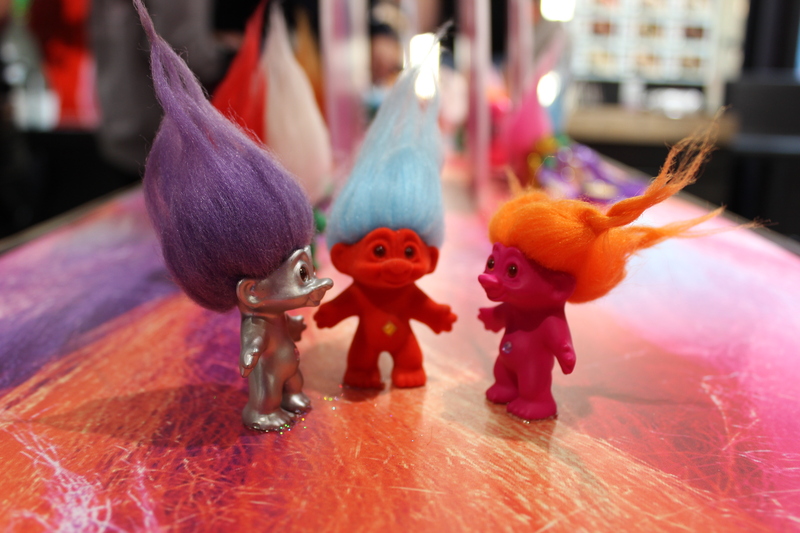 As a child I loved trolls, they were these weird looking miniature things with long, soft, brightly coloured hair. This year it seems that all things from the nineties have come back in fashion, from crop tops and spirograph to yes, these trolls. These slightly updated versions were spotted in central London and brought back fond memories. I think I need to get some now. This entry was posted in DSLR, London, Photography, Photos and tagged 1990s, colour, colours, dolls, DSLR, hair, london, miniature, nineties, photo, photography, troll, trolls by myeye1. Bookmark the permalink. Gosh, you make me feel ancient. I played with trolls in the mid-60s when they first were popular. So then the 90s and now you say they are back again? Perpetual retro – they never go out of style! Thanks. I actually have two 60’s originals in storage somewhere, been toting them around all these years.